The High Court in London has begun to hear a case brought by the Libyan sovereign wealth fund, the Libyan Investment Authority (LIA), against Goldman Sachs which confirms that Goldman and HSBC, among others, surreptitiously traded with funds for the LIA back in 2011. The Libyans accuse one of the world’s major banks of exploiting the naivety of the LIA by making risky bets on its behalf, most of which lost vast amounts of money. There are some colourful allegations about the lengths Goldman appears willing to have gone to win the business, which the bank denies. Of interest is in how big banks appear willing to turn a blind eye to a glaringly obvious corruption risk. The LIA owns billions of dollars of shares in household name companies such as General Electric, BP, Vivendi and Deutsche Telekom. That approach makes it is easier for powerful elites to steal from their poor people, which triggers the kind of unrest and suffering that has plagued North African region for many years. The LIA itself was poorly run and under the personal control of Seif Gaddafi, the son of the then Libyan ruler. Checks and balances on how the LIA’s money was spent and invested appear to be almost non-existent. Seif’s brother Saadi famously parked a good deal of his cash in a £10 million pound house in Hampstead, in an early example of the problem of luxury London property serving as a magnet for suspect find from overseas – more on that here. Gaddafi died in a drainage gutter where he was cornered on the run from the same people he was impoverishing. We’ll be monitoring the case over the next few weeks and offering comment on the role of Goldman and HSBC, banks in the mismanagement of Libyan state funds. “This case is an important reminder of how keen a number of major financial institutions were eager to do business with such a corrupt government,” said Robert Palmer, anti-money laundering campaign leader at Global Witness. 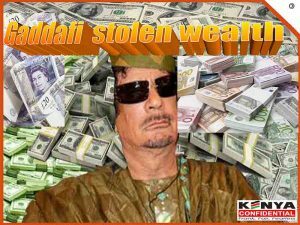 “Access to the international financial markets allows regimes like Gaddafi’s to continue to enrich themselves at the expense of their people. That kind of corruption was the backdrop for uprisings in the Middle East, which are still playing out today. It’s time for banks to turn down this sort of criminal business”. Meanwhile, names some of the major banks who have done business with corrupt regimes are continually surfacing. 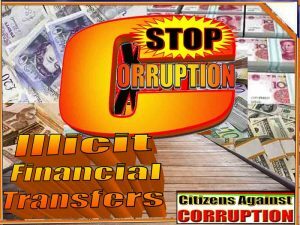 By accepting corrupt customers, banks are assisting those who are using state assets to enrich themselves or brutalise their own people. That corruption denies the world’s poorest people the chance to lift themselves out of poverty and leaves them dependent on aid. A new report sets out what governments, regulators and banks need to do in order to tackle this complicity with corruption. The world has learnt that failures during 2008 and 2009 by banks and the governments that regulate them have been responsible for pitching the global economy into its worst crisis in decades. People in the world’s richest countries are rightly angry at the increasing job losses and house repossessions. What is less understood is that for much longer, failures by banks and the governments to regulate them have caused untold damage to the economies of some of the poorest countries in the world. This is happening despite anti-money laundering laws that require banks to know who their customers are and what the source of their funds is. But there are huge loopholes in the system that mean it isn’t working. Undue diligence evidence is that Barclays kept open an account for the son of the dictator of oil-rich Equatorial Guinea long after clear evidence emerged that his family were heavily involved in substantial looting of state oil revenues. Several British banks have done the same with billions of cash looted and properties bought from proceeds of corruption from Kenya by Moi era crooks. A British tax haven, Anguilla, and a Hong Kong bank, Bank of East Asia, helped the son of the president of Republic of Congo, another oil-rich African country, spend hundreds of thousands of dollars of his country’s oil revenues on designer shopping sprees. Read his credit card statements. Citibank facilitated the funding of two vicious civil wars in Sierra Leone and Liberia by enabling the warlord Charles Taylor, now on trial for war crimes in the Hague, to loot timber revenues. Citibank recently featured as Youth Fund theft conduit in Kenya. HSBC in which opposition senator Johnstone Muthama banked his mineral wealth, and Banco Santander hid behind bank secrecy laws in Luxembourg and Spain to frustrate US efforts to find out if Equatorial Guinea’s oil revenues had been looted and laundered. Deutsche Bank assisted the late president Niyazov of Turkmenistan, a notorious human rights abuser, to keep state gas revenues under his personal control and off the national budget. Dozens of British, European and Chinese banks have provided Angola’s opaque national oil company, Sonangol, with billions of dollars of oil backed loans, though there is no transparency or democratic oversight about how these advances on the country’s oil revenues are used, and they have a recent history mired in corruption and secret arms deals. 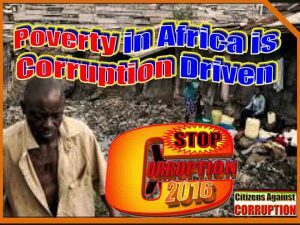 Corruption is a major problem, which has a devastating human cost. In poor countries it kills people and traps millions more in poverty. It also undermines the global economy and threatens national security, affecting all countries. The largely hidden truth is that banks play an integral role in enabling this. Corrupt officials need somewhere to hide stolen money. Yet while laws and regulations apply in most countries, which require banks to do a range of checks to detect the proceeds of the corruption, many banks fail to uphold them. As result they are leaving the door wide open for corrupt people to launder their funds. Banks and Dirty Money reveals the skewed incentives which lie at the root of this problem. It shows that the best solution is for senior executives to be held personally responsible when banks break the rules, and that without that, banks will continue to enable corruption and exacerbate the harm that results. 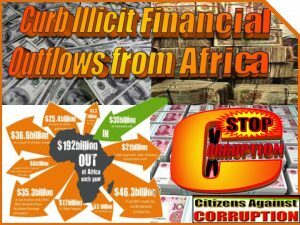 Kenya is a victim of billions of shillings stashed in offshore accounts by many politicians in Jomo Kenyatta and Daniel Moi regimes, senior government officials like Charles Njonjo, Jeremiah Kiereini, and Chris Okemo and parastatal executives like Samuel Gichuru among many others. The world is crushing upon some of them now and many of them sooner than later.